Alison Gervais joined the website for aspiring writers, Wattpad, her sophomore year of high school, and In 27 Days followed a few months later. In 27 Days has gone on to win a Watty Award, become the #1 title in the Adventure category, and secure nearly 20 million reads. Alison now attends the University of Colorado Pueblo pursuing a creative writing degree. If she's not writing or studying for classes, she can be found re-reading Harry Potter, watching Supernatural, or trying to win the affection of her two cats, Kovu and Rocket. This is such a tough question! I’ve always been writing for as long as I can remember – at least since the age of five – and to me, it’s just something that’s become a regular part of my daily routine. I firmly believe that everyone has a story to tell. The beauty of this is that you get to decide what medium you want to tell your story with. For me, it’s writing. For others, it could be through poetry or art or film making or anything under the sun, really. It’s something everyone can and should do because it’s so unique; you’re the only one who can tell that story. 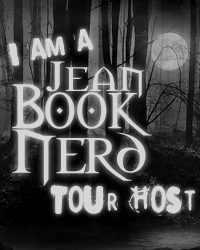 In your new book; IN 27 DAYS, can you tell my Book Nerd community a little about it? IN 27 DAYS is a story about a girl whose classmate commits suicide. At his funeral, she meets Death in person and ends up making a deal to go back in time 27 days to stop this classmate from killing himself. It’s a story that deals with the taboo subjects of suicide and mental health, which is something I think needs to become a part of normal day-to-day conversation. I think so many people have known someone who has committed suicide or known a friend or someone who has lost someone to suicide, and the whole thought of, “What if I’d been able to do something to stop them?” is very common, and something this story revolves around. What part of Hadley did you enjoy writing the most? Hadley has been one of my favorite characters to write, and I think I enjoyed it so much because she’s so relatable. She’s not a genius or a beauty queen or anything like that – she’s just a normal girl trying to do the right thing when she’s faced with extraordinary circumstances. I don’t want to give away too much about my next project, but it’ll be coming from the “own voice” angle. It’s very exciting! Oh boy. Not a fun experience to talk about. It was awkward. The guy was too tall, and I still had a piece of gum in my mouth. I think a journal entry of mine would say: just relax. Take deep breaths. How your book is received is out of your hands now! I want to say that it was to Sacramento, but I honestly don’t remember. It probably wouldn’t have been a very fun time, but I would’ve loved to have been a teenager during the 1940’s. I’m all about the 40’s aesthetics. Those women back then were the living definition of the word classy. You can re-live any point of time in your life. Which of your past would you like to experience again? I feel as if I would want to get a do-over for my freshman year of high school. It was a horrible time for me. It was when I’d just been diagnosed with depression, and then I went through eight months of trying to find the right type and dosage of medication, and it was a hard adjustment. I’m very lucky my family was so supportive during all of it because it wasn’t easy. Reading with a cup of coffee at my favorite shop in town, or at work. I’m always working! Hadley Jamison is shocked when she hears that her classmate, Archer Morales, has committed suicide. She didn't know the quiet, reserved guy very well, but that doesn't stop her from feeling there was something she could have done to help him. Hoping to find some sense of closure, Hadley attends Archer's funeral. There, Hadley is approached by a man who calls himself Death and offers her a deal. If Hadley accepts, she will be sent back 27 days in time to prevent Archer from killing himself. But when Hadley agrees to Death's terms and goes back to right the past, she quickly learns her mission is harder than she ever could have known. Thank you ALISON GERVAIS for making this giveaway possible. 1 Winner will receive a Copy of In 27 Days (In 27 Days #1) by Alison Gervais. 27 days ago I was helping my sister-in-law clear out the overgrown brush and trees in her yard. 27 days ago we had some family friends around for lunch.